The Irish capital city of Dublin is filled with interesting attractions to explore, and visitors will enjoy learning about the city and experiencing its beauty. When visiting this large city on the Emerald Isle, you don't have to sacrifice quality when trying to find an affordable place to stay. There are some very nice hotels at relatively modest prices in Dublin. The Fitzwilliam Hotel is a five-star establishment. However, it is not exorbitantly priced. In fact, it is one of the more affordable luxury hotels in Dublin. This hotel offers a variety of room sizes, and it is noted for its quiet atmosphere. There are three restaurants in the hotel that are sure to please all diners. Another elegant hotel that won't break your budget is the Gresham Hotel. This hotel is located in the heart of the city just north of the River Liffey. Amenities at this hotel include a fitness center, free Wi-Fi Internet access, and the availability of full room service. The Molesworth Court Suites Hotel prides itself on being a family-friendly establishment. These clean units offer visitors a comfortable place to stay that feels like home. The rooms are furnished with kitchenettes and laundry facilities. Some of the rooms have small balconies for enjoying the cool, Dublin evenings. 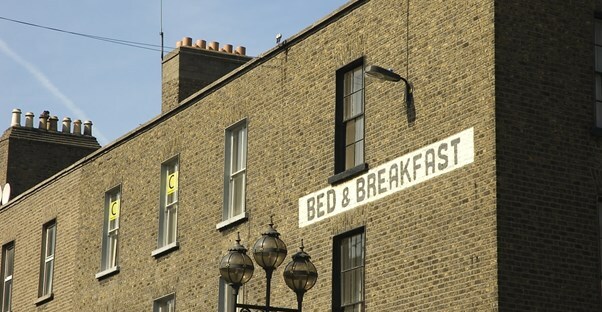 This hotel makes a perfect accommodation for those who plan to stay in Dublin for an extended period. Using the kitchen and laundry facilities in-house can really help cut down on travel costs. The Pembroke Townhouse Hotel is a small, 48-room hotel with 1800s charm. Located on a tree-lined street, this hotel is close to both attractions and dining opportunities. There is a restaurant in the hotel, and room service is available as well. All rooms are furnished with a television and a safe. Some suite-style rooms are available. Cassidy's Hotel is a Georgian-style building located near the Writer's Museum. This hotel has a bar and restaurant inside as well as a fully-equipped business center for your convenience. Room service is available, and suite-style rooms are offered. This hotel is the least expensive option among the hotels mentioned. However, guests will not sacrifice comfort or quality staying at the Cassidy. These are just a few of the affordable hotels in the city of Dublin. These hotels have special package deals available throughout the year, and room prices will vary by season.